Nine Dalit people were injured on 09/06/2015 after members of an OBC community attacked them over a land-related old dispute in Sikar district of Rajasthan. The assailants also set on fire a thatched house belonging to Dalit families in Gandakya ki Dhani in Dantaramgarh area here, police said. "Several members of a caste attacked Dalit people following a land related dispute which left nine people injured. Two of them were referred to SMS hospital in Jaipur for treatment," police said. 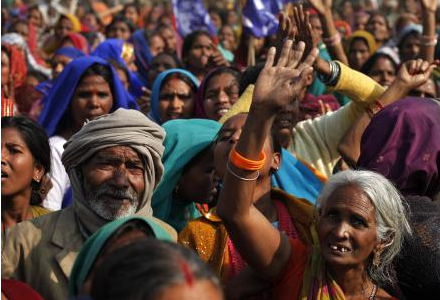 Both the dalits and Kumawats (an OBC community) stake claim on the land and the matter is sub-judice. Dalit families have their houses on the land. Mularam Kumawat along with 50-60 others attacked the Dalit members and injured them, police said. This is the second such incident in Rajasthan within less than a month after the incident of Dangawas, Nagaur where a clash left five Dalits dead. Cause of the clash in Dangawas village was also a land dispute.